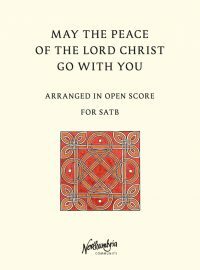 An A4 booklet with the liturgies for the night office of Compline for each day of the week. Can also be purchased in Braille (grade 2 Braille), Giant Print (24pt) and normal print versions. 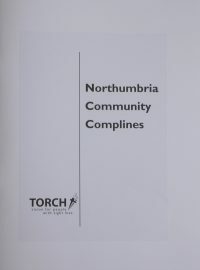 A Braille (Grade 2 Braille) booklet with the liturgies for the night office of Compline for each day of the week. Can also be purchased in Large Print (18 pt), Giant Print (24pt) and normal print versions. 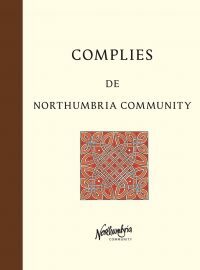 An A5 booklet with the liturgies for the night office of Compline for each day of the week translated into French. This edition is words only i.e. no music. 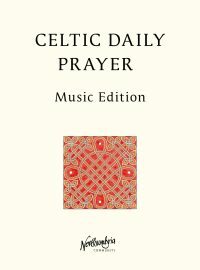 A separate A5 booklet containing the French translation of our Daily Office (Morning, Midday and Evening Prayer) with the melody line for the sung version and a selection of 31 of our Meditations for each day of the month, chosen from Celtic Daily Prayer Books 1 and 2, is also available from Northumbria Community. 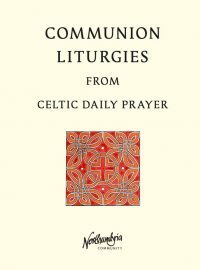 A 60 page booklet containing the Communion liturgies from both volumes of Celtic Daily Prayer: From Celtic Daily Prayer Book 1: The Journey Begins - Communion liturgy From Celtic Daily Prayer Book 2: Farther Up and Farther In - Around the table: a family breaking of bread - Small boat, great big sea Communion - A Celtic Communion - A service of healing with Eucharist Ideal for use with Community and home groups, Churches and chaplaincies, looking for fresh resources for their times together. 10% discount on orders of 5 or more booklets. 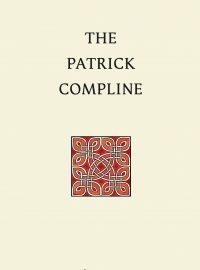 A Braille booklet containing the Communion liturgies from both volumes of Celtic Daily Prayer: From Celtic Daily Prayer Book 1: The Journey Begins - Communion liturgy From Celtic Daily Prayer Book 2: Farther Up and Farther In - Around the table: a family breaking of bread - Small boat, great big sea Communion - A Celtic Communion - A service of healing with Eucharist Ideal for use with Community and home groups, Churches and chaplaincies, looking for fresh resources for their times together. Also available in Braille, Giant print (25pt) and Normal print. 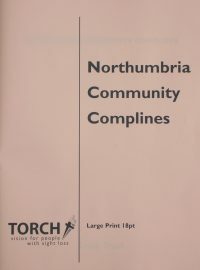 A Braille booklet containing the Communion liturgies from both volumes of Celtic Daily Prayer: From Celtic Daily Prayer Book 1: The Journey Begins - Communion liturgy From Celtic Daily Prayer Book 2: Farther Up and Farther In - Around the table: a family breaking of bread - Small boat, great big sea Communion - A Celtic Communion - A service of healing with Eucharist Ideal for use with Community and home groups, Churches and chaplaincies, looking for fresh resources for their times together. 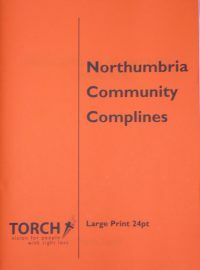 Also available in Large print (17pt), Braille and Normal print. 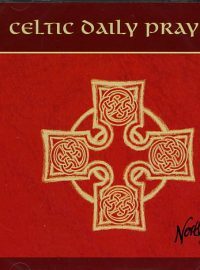 A Braille booklet containing the Communion liturgies from both volumes of Celtic Daily Prayer: From Celtic Daily Prayer Book 1: The Journey Begins - Communion liturgy From Celtic Daily Prayer Book 2: Farther Up and Farther In - Around the table: a family breaking of bread - Small boat, great big sea Communion - A Celtic Communion - A service of healing with Eucharist Ideal for use with Community and home groups, Churches and chaplaincies, looking for fresh resources for their times together. Also available in Large print (17pt), Giant print (25pt) and Normal print.